Welcome to the third and last part of the Ultimate Golden Image Automation Guide. The goal is still to create a new Golden Image by scheduling just one deployment Run book without extra manual tasks. This Guide will be in three parts, the first part is Preparation – Citrix Provisioning Services and Ivanti/RES ONE Automation. The second part is Deploying software – Ivanti / RES ONE software, Citrix VDA, Citrix PVS Target Device and Middleware. The third part is Optimzing/Sealing and Imaging vDisk – BIS-F sealing script and VMware OS optimization tool. 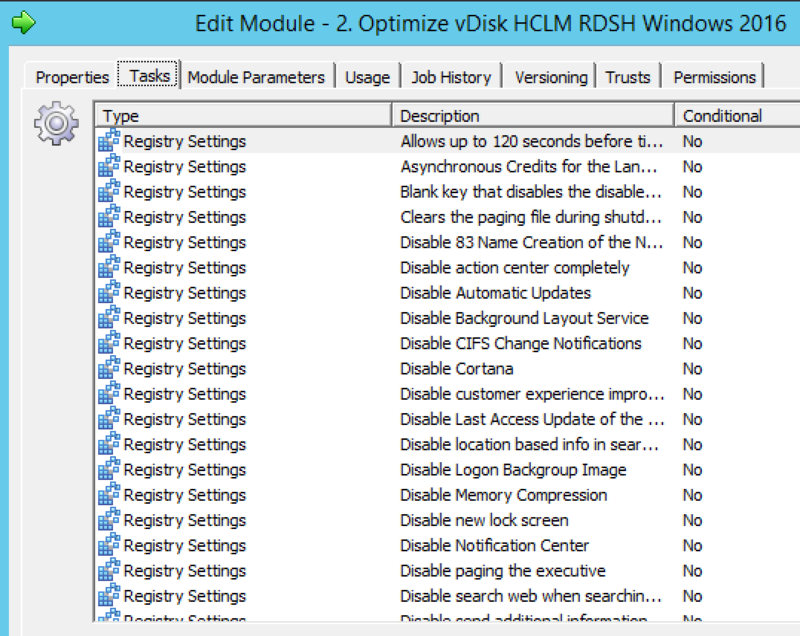 In this last part of the blog we’re going to optimize and seal the golden image and create a vDisk through the Citrix Imaging process. Of course we will automate all these steps. The VMware OS Optimization Tool turns off services and changes registry but of course RES / Ivanti ONE Automation can also do it. So the second way to run the VMware OS Optimization Tool is to not run it but take all tasks it does and create tasks in RES / Ivanti ONE Automation instead. This is of course a lot of work but luckily Arjan van t’Hoff has already done this and you can download it from the RES Hub here. If you want to use those modules instead, don’t forget to remove the services mentioned above. One of the great things about doing it this way is that you can see the specific settings that are being configured and turned off. Then again you won’t be benefitting from new settings in updates of the VMware OS Optimization Tool. And of course we finish the VMware OS Optimization off with a Reboot. This means that we first have to run the installer on a management server to get the ADMX file. After that we can of course remove the software. We need to copy the content from that folder to the domain policy store, this is normally \\DOMAIN\Sysvol\Policies\PolicyDefinitions. After doing that we can create a new GPO object and browse to COMPUTER CONFIGURATION> Administrative Templates > Base Image Script Framework (BIS-F). Of course the configuration will be different from environment to environment but there are a few mandatory settings we need to set. 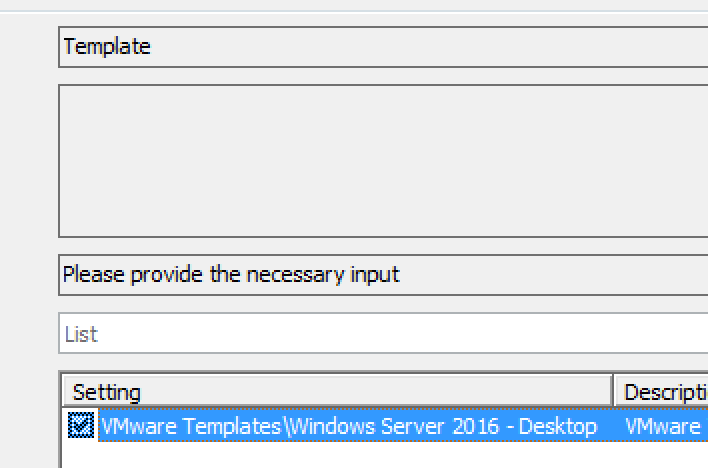 In Global, set the Configure VerySilent and Shutdown Base Image after sealing to Enabled. The rest in Global is up to you. Then go to RES folder and set both policies to Disabled or else the RES ONE Automation imaging task will fail. Now we need to make sure that our target VM gets these settings by setting the GPO on the right OU. I would advise you to check out all the policy settings in the BIS-F policy. If you have chosen to create snapshot during the deployment we need to delete them now before we start imaging. 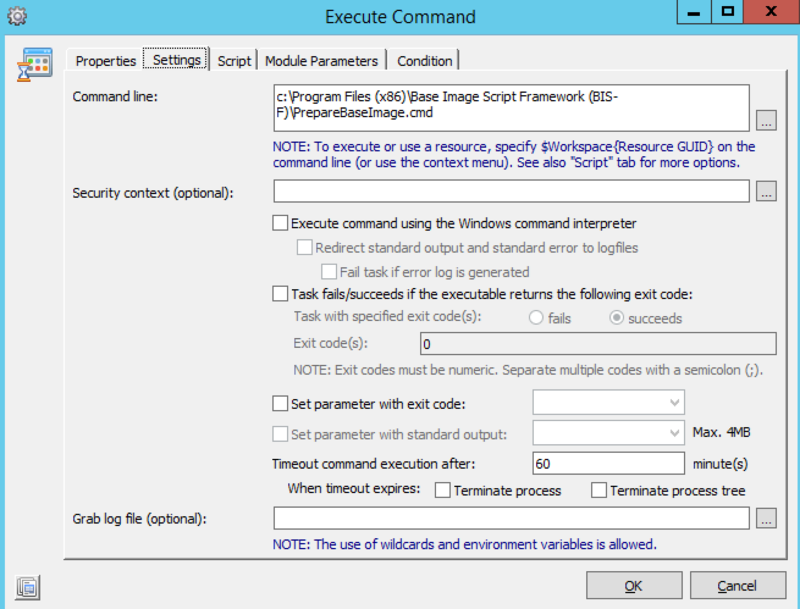 Create a new module named Delete Snapshots and add the following tasks to it. First stop the target VM. And start the Target VM again. Add this module to a new Project and name it 03.00.01. 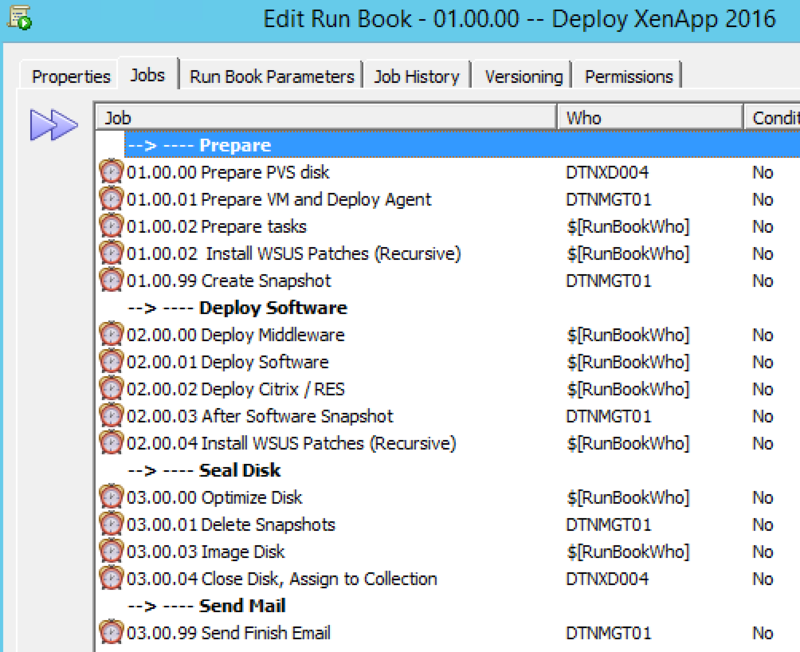 Delete Snapshots in the Deployment Run Book. We need to make sure to run this project on the management server with PowerCLI installed. This task can easily take up 30 minutes to complete so we need to set the time out to 60 minutes. 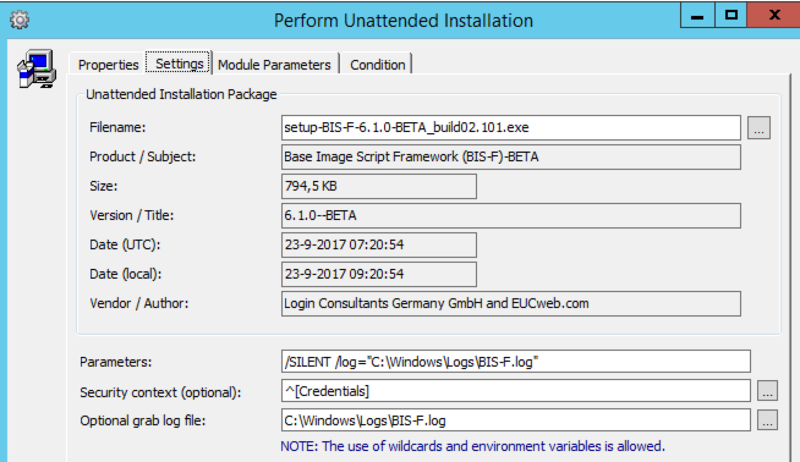 This task will start the BIS-F tool and it will optimize the system to become a vDisk and it will start imaging the Disk. You can see the progress of the script through the Windows Explorer if you browse to \\targetvm\Persistentdisk$\BISFLogs , for example \\DTNCXA006\D$\BISFLogs . 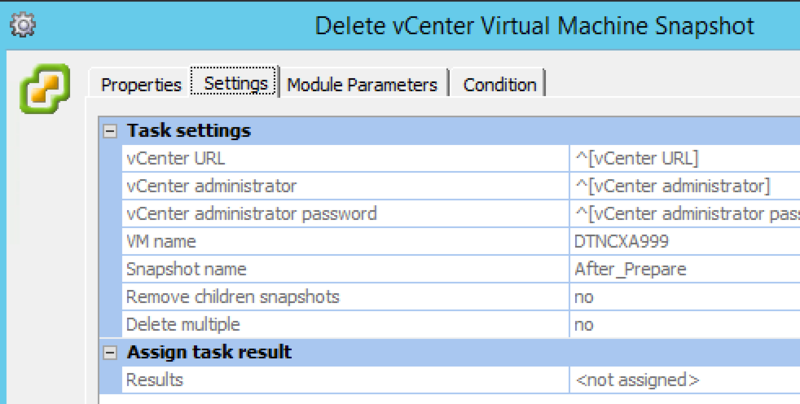 After the vDisk is created it still is in Private mode and cannot be used with multiple XenApp servers. So we need to change the disk mode to standard. This can be done with the MCLI.exe command line tool of Citrix PVS. I have created a module to do this on the RES Hub and you can download it here. It is important to first add a Postpone Job to make sure that the TargetVM is shutdown or else the disk mode cannot be changed. I have added a postpone of 2 minutes. Or use the following commands. Add this module to a new Project and name it 03.00.03 Close Disk Assign to Collection. After the vDisk is created it is nice to receive an email especially if you schedule the deployment Run Book to run at night. So the last module we’re going to create is a Send Email task. Create a new module and name it Send Email. Add an Email Send task to it, fill in your email info and add a text like: Yes we did it, another vDisk automatically created with The Ultimate Golden Image Automation Guide! Add this module to a new Project and name it 03.00.99 Send Finish Email. Now we need to add these last projects to the Deployment Run Book. Add the 03.00.00 Optimize Disk Project and use the $[RunBookWho] parameter as Who. Add the 03.00.01 Delete Snapshots Project and select your management server which has PowerCLI installed as Who. Add the 03.00.02 Image Disk Project and use the $[RunBookWho] parameter as Who. Add the 03.00.03 Close Disk Assign to Collection Project and select your Citrix PVS server as Who. Add the 03.00.99 Send Finish Email Project and select any agent which is allowed to send emails as Who. And that’s it, we’re done! 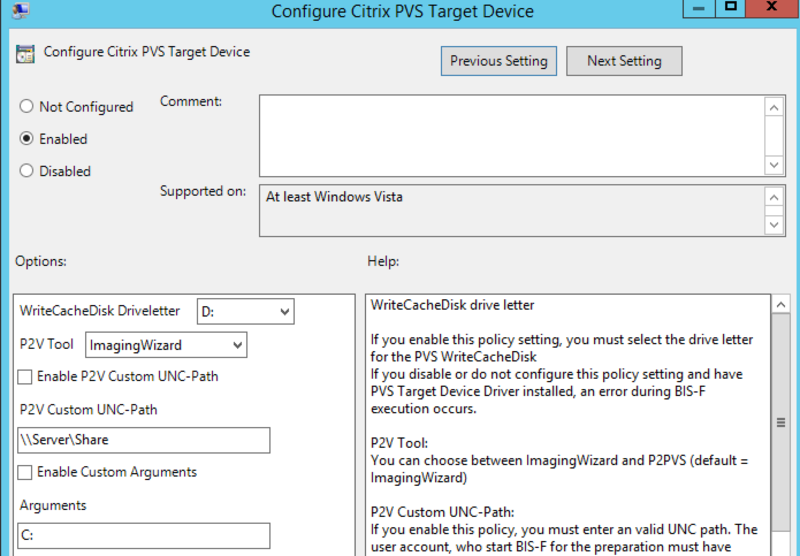 Now you can deploy your vDisk automatically and there is no need anymore to use Citrix PVS versioning. You just enter the changes like a new software application to the correct Projects and run the Run Book again! Download The Ultimate Golden Image Automation Guide!